When it comes to designing and engineering our powertrains, fuel economy is just as important as how they perform. Which is why we included advancements like Gasoline Direct Injection (GDI) technology that injects fuel directly into an engine's combustion chamber, which not only improves fuel economy but also reduces carbon emissions. Yet another innovation is our EcoShift® Dual Clutch Transmission. This technology (which is typically only found in high-end luxury cars) allows power to flow from the engine to the transmission uninterrupted, which increases fuel efficiency dramatically. More and more we live in a connected world. So the technology features we've engineered ensure you'll always have everything you need everywhere you go. Like Apple CarPlay™ and Android Auto™, which integrate all the functionality of your smartphone with your vehicle, so you can use your favorite apps, send messages, listen to your favorite music, use navigation and more. 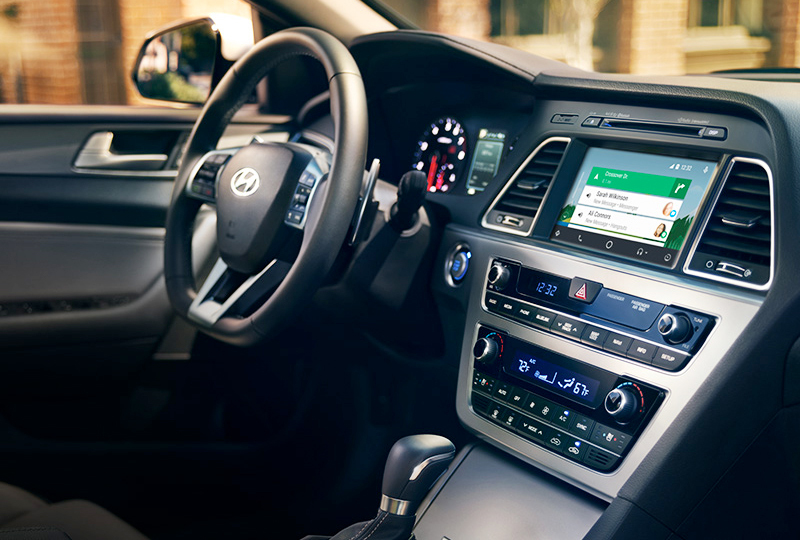 And what's really amazing are all the things you can do remotely using Hyundai Blue Link® on your smartphone and smartwatch, like start the car, turn on the air conditioning or heat before you get in and lock or unlock the doors. How well a vehicle caters to you can make the difference between a car you like and a car you love. So we go the extra mile to make sure you're well taken care of. Our Integrated Memory System allows you to store two different unique driver seating and side mirror positions at the touch of a button. 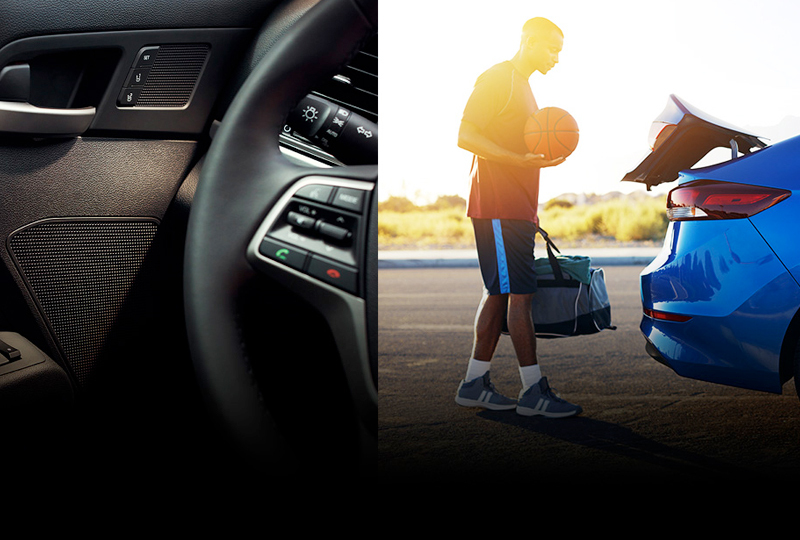 Our hands-free smart trunk opens automatically when it senses your key fob approaching. Heated rear seats ensure you'll always be warm and cozy. 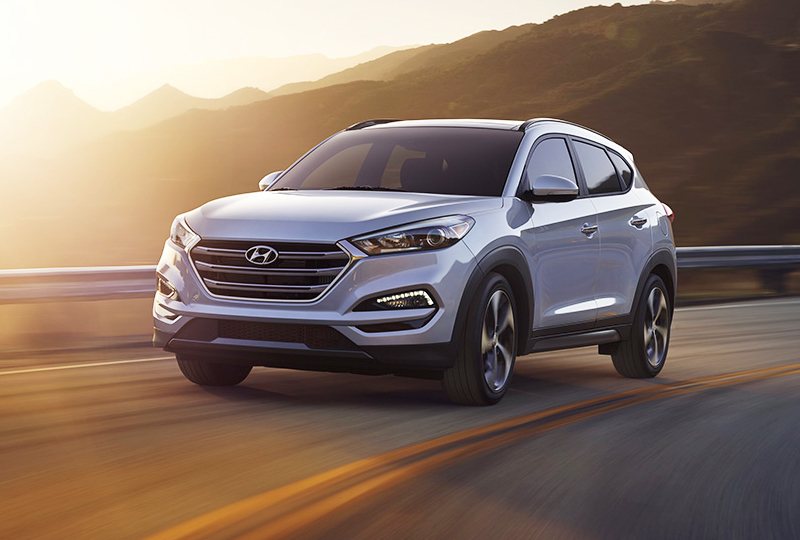 And, to keep you connected when you're on the move, you'll find multiple USB ports (including one in the back of the Santa Fe). There's never been a more entertaining ride. *Apple is a trademark of Apple Inc., registered in the U.S. and other countries. Apple CarPlay is a trademark of Apple Inc.
Android Auto™ is compatible with Android phones running Android Lollipop or newer. Android Auto may not be available on all devices and is not available in all countries or regions. Additional apps may be required. Android, Android Auto, Google, Google Maps and Google Play Music are trademarks of Google Inc. Remote Vehicle Start is only available for push button start equipped vehicles with an automatic transmission or a Dual Clutch Transmission (DCT). Not available on all models. Remote Climate Control available on properly equipped models with fully automatic temperature control. Smartphone GPS location must be within 1-mile radius of vehicle's location to display searched location. Vehicle must be in park to download available in-vehicle apps. App availability will vary by model. Only use Blue Link and corresponding devices when it is safe to do so. Blue Link subscription service agreement required. Features vary by subscription plan. Blue Link service works using CDMA-based cellular networks in the 50 United States. Blue Link service is not available where there is no cellular coverage, particularly in enclosed or remote areas. Service availability may be affected by signal strength, foliage, weather, topographical conditions (mountains) and nearby structures (tall buildings, tunnels) and other factors. 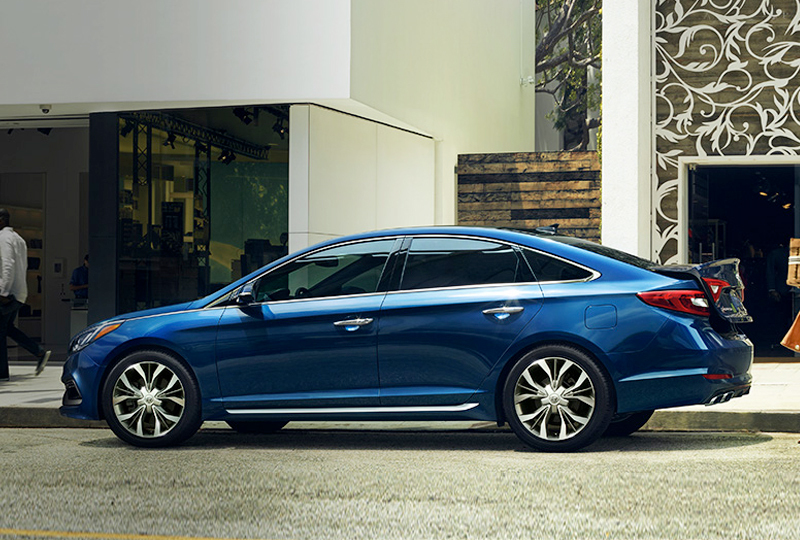 For additional details and system limitations, visit HyundaiBlueLink.com. Google and the Google Logo are registered trademarks of Google Inc.
*The smart trunk will open when the smart key is within 40 inches of the detection area for at least 3 seconds. Radio transmitters and other vehicle smart keys may interfere in normal operation of the feature. Please consult Owner's Manual for further details. Make sure you close the trunk before driving. *SiriusXM Satellite Radio and XM NavTraffic: Not available on all models. 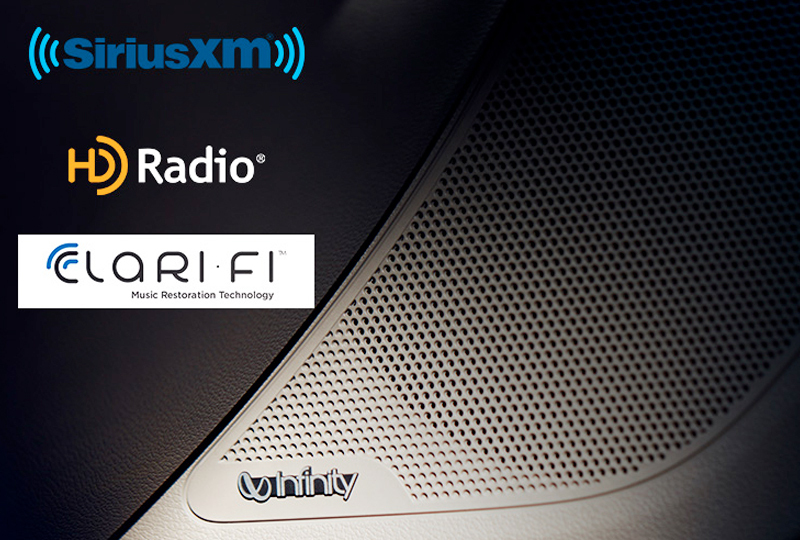 SiriusXM and XM NavTraffic require a SiriusXM subscription, sold separately after a complimentary introductory period. All fees and programming subject to change. Traffic and weather channels only available in select markets, and SiriusXM service is only available in the 48 contiguous United States. See your dealer for details. The XM name is a registered trademark of SiriusXM Satellite Radio, Inc.